Romantic and beautiful, the perfect explanation of Sana Safinaz Muzlin Vol 3 now available at world class online store Dress Republic. The volume 3 has nostalgic vibe, not too many colors used, the Sana Safinaz focuses on design sequence. Fabric prints finally look like masterpieces on canvas with rich in details. Floral in retro version give masculine eel to the collection. Embroideries are artsy and classic, lengths are short but maintain the moment on the catwalk. 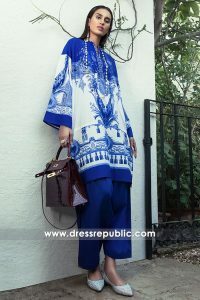 To give a finishing touch Dress Republic design team adds tassels to the shirts and trousers which remind the wicked style of the 70s. Sana Safinaz Muzlin Vol 3 pattern is recreated in a up-to-date manner giving the party and casual day life look as a statement piece. I must say that Sana Safinaz Muzlin collection is a strong and cool, so turn it up more. 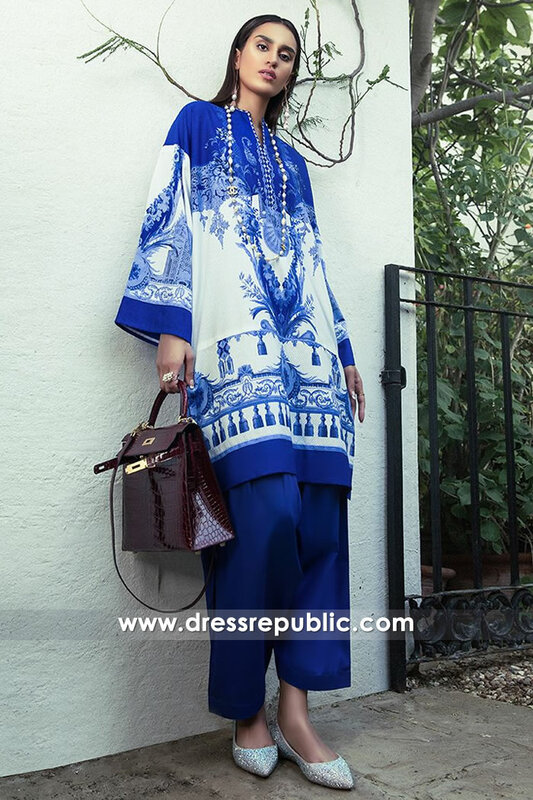 The company is using Dress Republic custom tailoring and premium quality finishing services as well as online outlet platform to market its products all over the world. The fabrics are top-notch and come more to life with floral and conceptual prints on them. While some of the designs are cut in long length, they are all paired together with plain pants. Book your Sana Safinaz Muzlin piece by 12th August and get it delivered before Eid. If you are little too late, just ask the customer service at any of the following numbers. Since the collection is all fit for both Eid and casual use, its worth buying some pieces for your wardrobe.